MasterCraft Log & Custom Homes, LLC is a family owned, values centered home building company located in Ashe County, North Carolina. Brandon Dillard and C.H. Wagoner, a North Carolina licensed residential and commercial contractor, oversee all aspects of your project. Our goal is to exceed your expectations by being fair and honest and building a great house or cabin. We build quality houses at affordable prices. From a log cabin to a permanent home in the mountains, MasterCraft can deliver. We don't quote a low price just to get your business only to inflate the construction cost as the project moves along. Our contract price is the cost unless you exceed an allowance or make changes to the project. In either case, we will tell you what to expect. There are no surprises at the end. We stand behind our work. We want you to be happy. We will not disappear after your house is built. Our many clients have given testimonials to our workmanship, customer service and price. 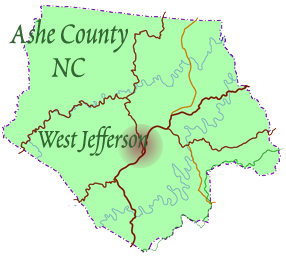 Ashe County is located in the extreme northwestern corner of the state. From Charlotte and points south, Ashe County is reached via US Hwy 421 from Wilkesboro and US Hwy 321 from Lenoir, changing to Hwy 421 in Boone. Take US Hwy 221N in Deep Gap; Our offices are in downtown West Jefferson at 308 South Jefferson Avenue. From the north (Virginia) the easiest way is to take Hwy 16 S. from Hwy 58 at Mouth of Wilson to Jefferson, then US Hwy 221 S to our offices, in downtown West Jefferson, at 308 South Jefferson Avenue.